Portland has a two-week Christmas Ship parade event on both the Columbia and the Willamette rivers. These two river fleets split and combine in different towns, putting on quite the show. In some towns, this event is a huge deal where everyone turns out. The kind of big deal where the local restaurants donate dishes for a feast to feed the crews, school children show up to carol, Santa and his wife visit the docks, and the town rewires shore power for the ships. This is the 60th year for the Christmas Ships, and we are thinking of jumping into the mix! We could then add Christmas Shippers to our list of nautical know-hows. Not sure of our “theme” for lights yet…or how many nights we will sign up for. 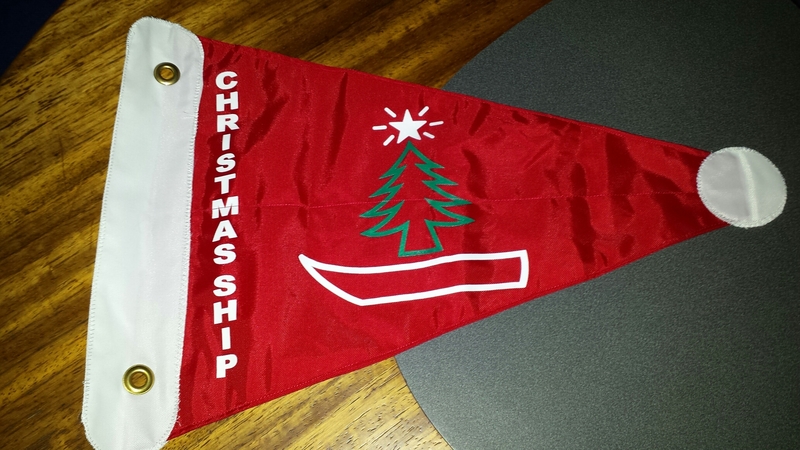 We attended our first meeting last night where we caught the excitement and bought a burgee. Anyone have thoughts on easy (especially on the budget) themes?